Arriving in 1969, the first Mustang Boss was forged from a simple mandate by Ford management to the designers and engineers: Create a Mustang that would be unbeatable on SCCA race courses and local drag strips alike. Boss returned for one more year, this time wearing the new-for-1971 sheet metal marking a longer, lower and wider Mustang than ever before. Under the hood, changes were equally dramatic, with the company’s 351 Cleveland V8 supplying the basis for motivation, matched as always with a four-speed manual gearbox. The Boss 351 stands out in Mustang’s history because it symbolizes the end of and era when the classic American muscle got a completely new look. 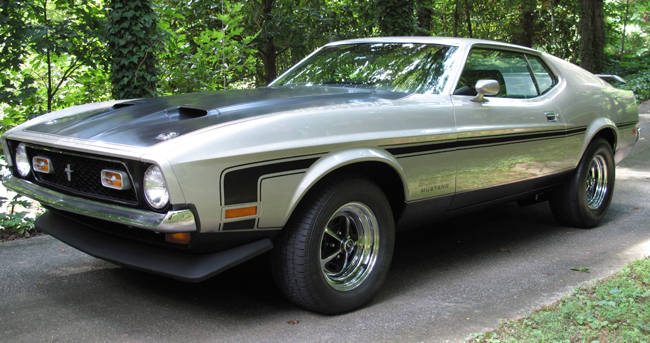 This stylish beast on the streets provided incredible power and an unforgettable era of the Mustang. Boss 351 offered exciting performance and eye-catching looks aided by the 60-degree sloping fastback body and twin-scoop contrasting hood. Interiors also gained luxury options; coupled with the improved tractability of the 351 Cleveland engine, it was easier for prospective buyers to turn this final early Boss into a comfortable high-speed cruiser than was possible with the race-bred 302 and 429 iterations.